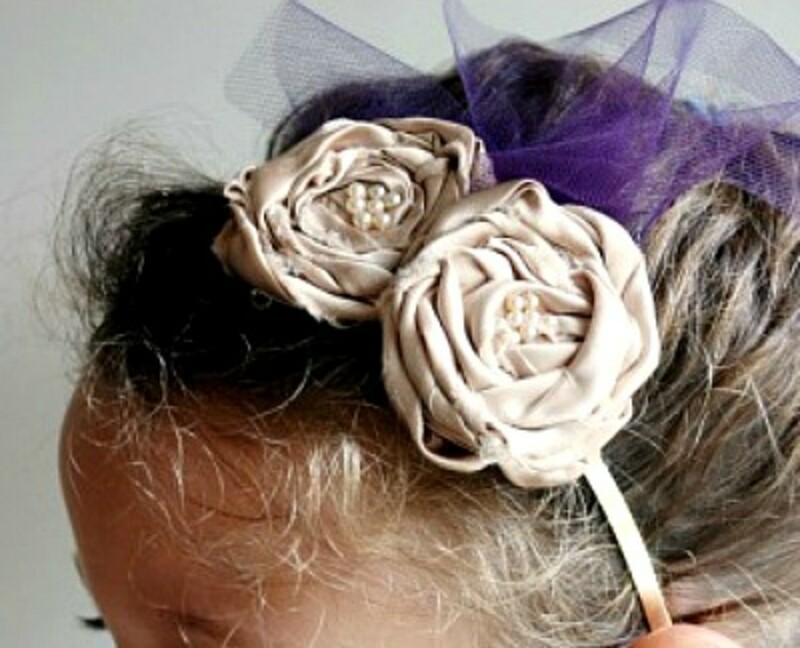 You'll have so much fun making hair accessories when you see how easy they are to make. 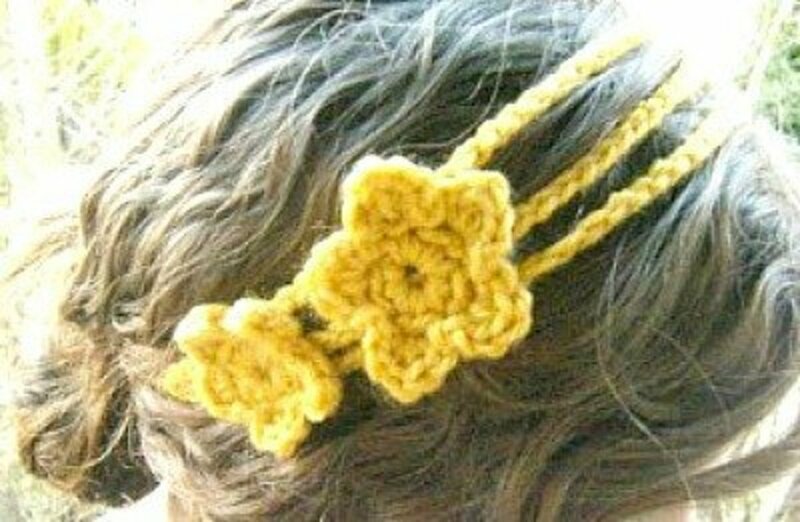 There are a lot of web pages about how to make hair accessories, but many of them don't just include instructions. 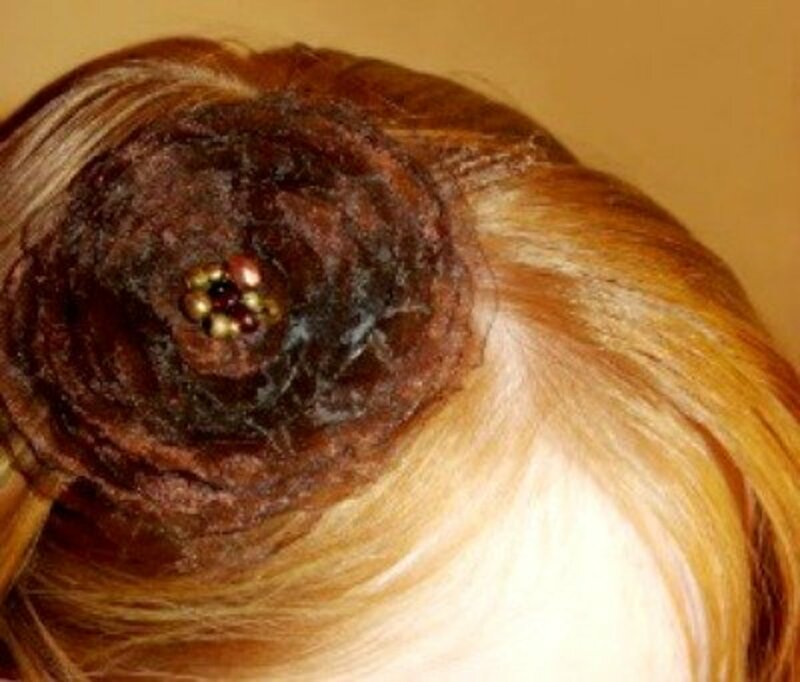 I've gathered together a nice group of hair accessory projects with tutorials. Just click on the site name below the picture. 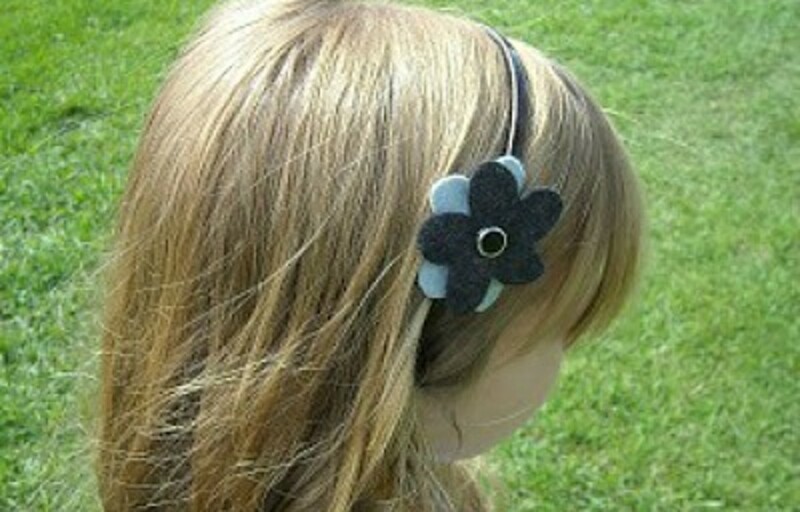 To make the cute felt flower headband shown above, go to Beautiful Skills for the instructions. 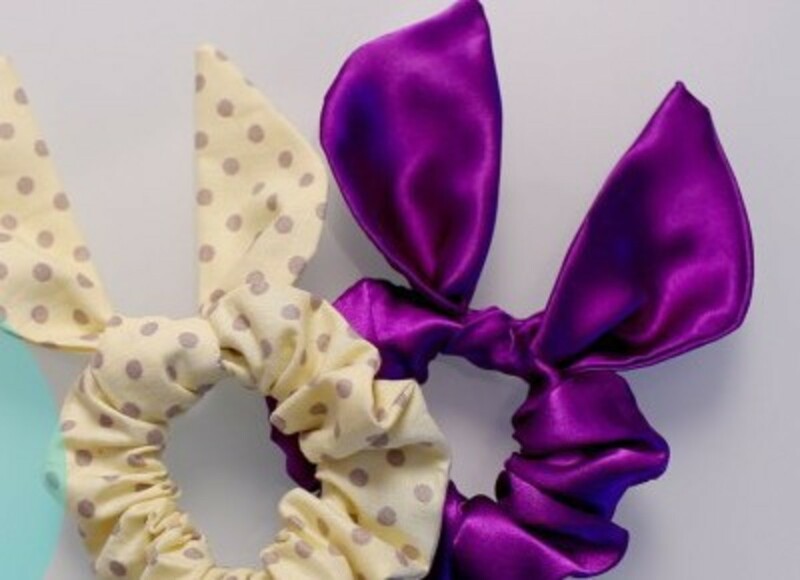 You'll love making this loopy surround bow for a hair bow. The tutorial is found at Think Bowtique. Imagine all the different colored bows you'll be able to make and wear. 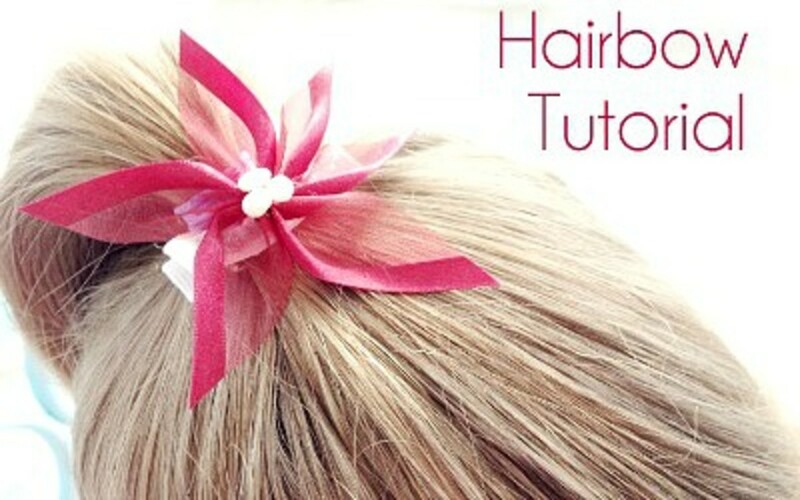 This is a very good and easy to understand tutorial on how to make hair bows. Go to A Beautiful Mess for the tutorial. You can easily make these attractive braided fabric headbands by following the instructions that you'll find at Alisa Burke. So easy to make that you can have a headband for any outfit. 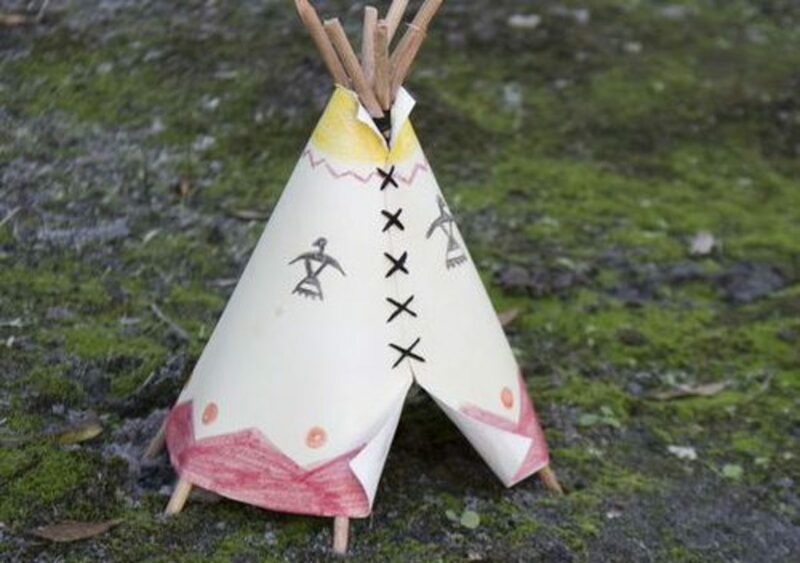 I plan on making some of these for my little granddaughters. They are super easy to make using strips of old tee shirts. The girls will love helping make them too. Go to Make It & Love It for the instructions. 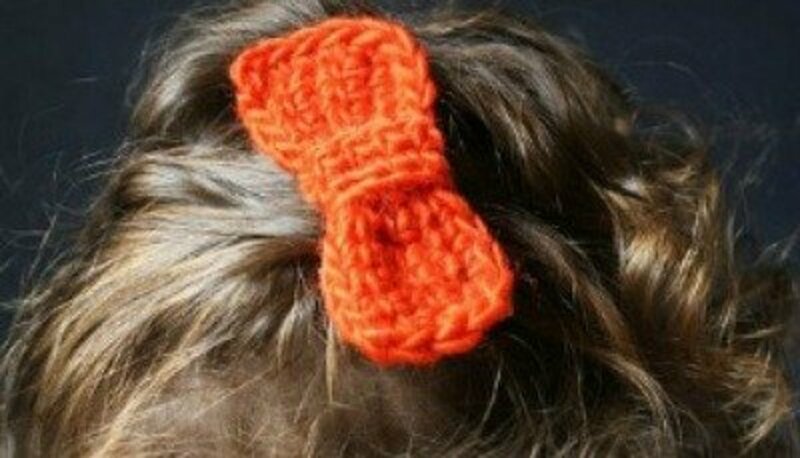 The site where you'll find the directions for this hair bow project is actually a foreign language site, but there are step-by-step directions that makes these a snap to make. Go to Live Internet to find the step-by-step instructions. 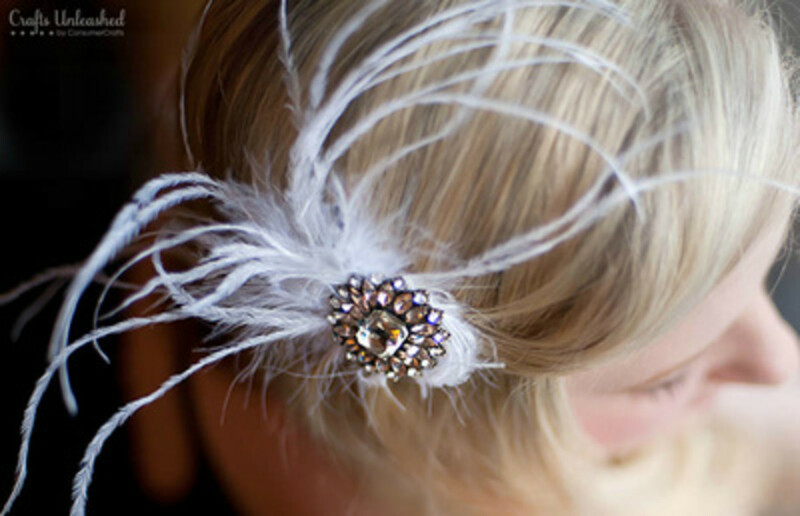 An inexpensive, but beautiful, hair accessory for a bride. 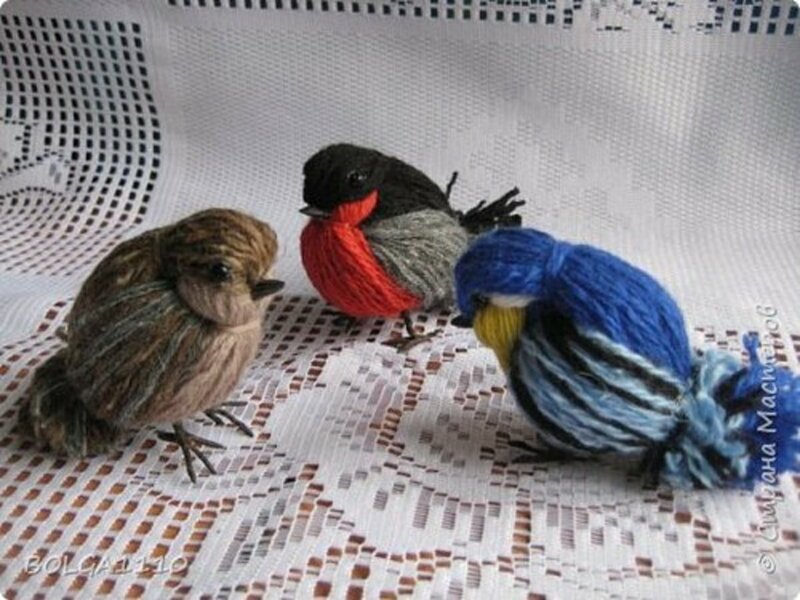 Go to Crafts Unleashed to see how easily they are put together. 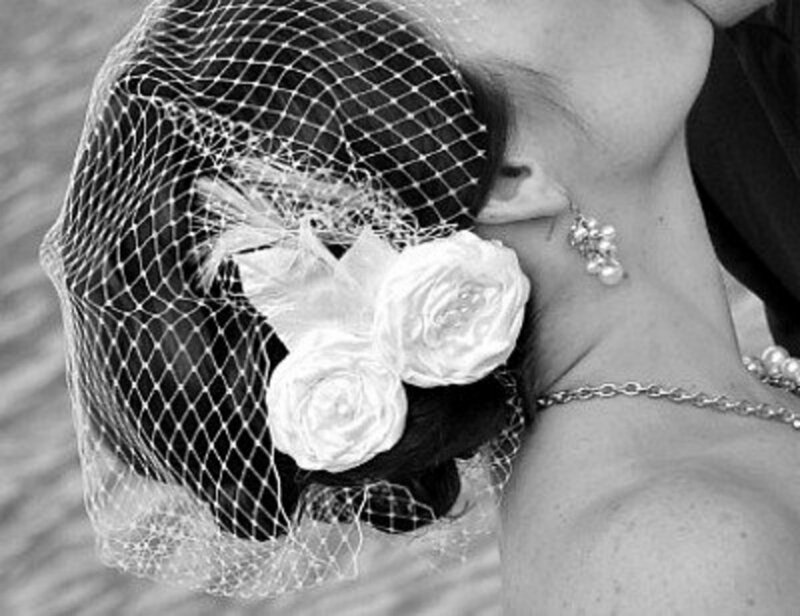 Imagine the money you'll save by making your own bridal hair pieces for your wedding. 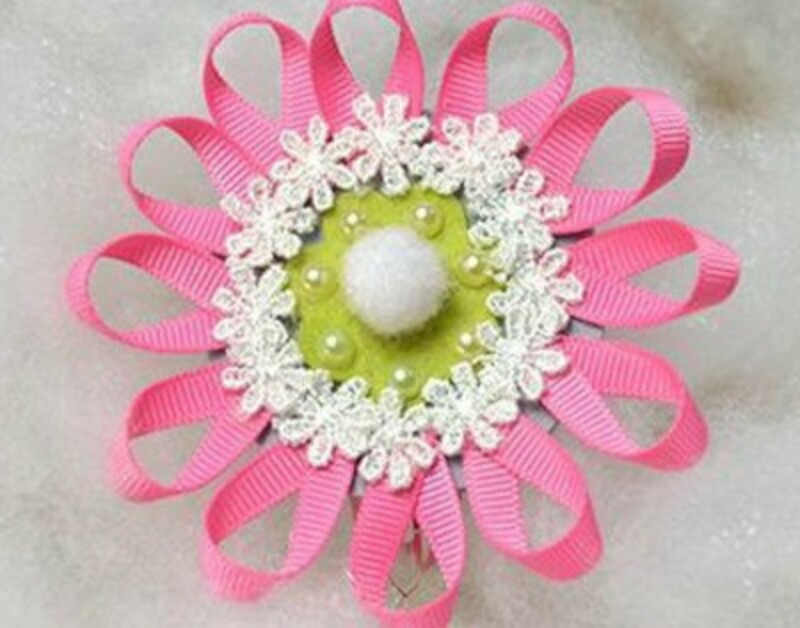 You'll find the directions for this beautiful bridal accessory at The Craft Nest. Isn't this just the cutest little headband? You'll be surprised at how easily it is made by following the directions at Trey & Lucy. 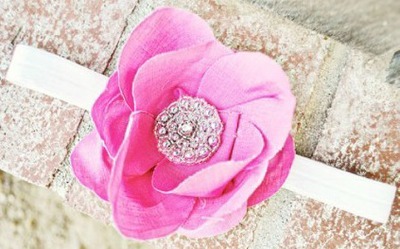 You'll have to imagine this headband in your bridal colors for your flower girl, or bridesmaids. I can picture three of these flowers and a short tulle veil for the bridesmaids. Find the instructions on assembling this headband at The Craft Nest. Making ribbon into the corkscrew shape is easier than you'd imagine. 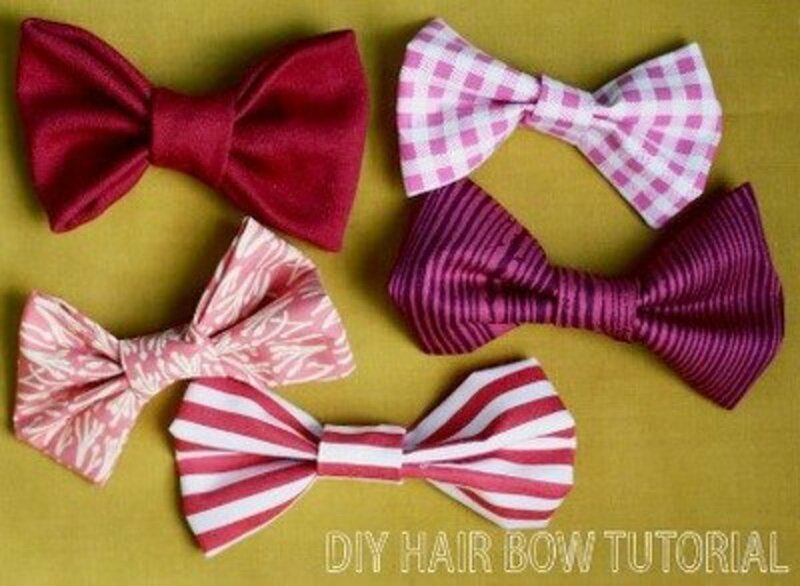 You'll find out how to do that and the rest of the instructions for making these hair bows at Craft Rookie. 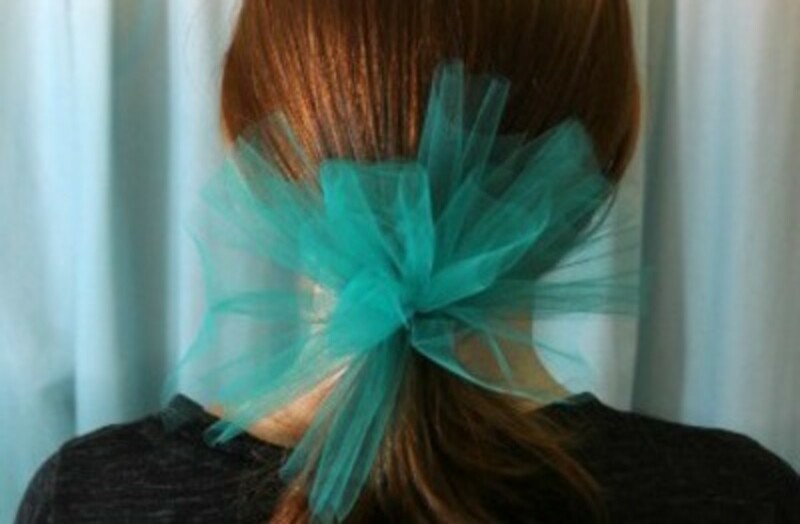 You'll find a great tutorial for making this spirit ribbons hair bow at Uncommon Designs. 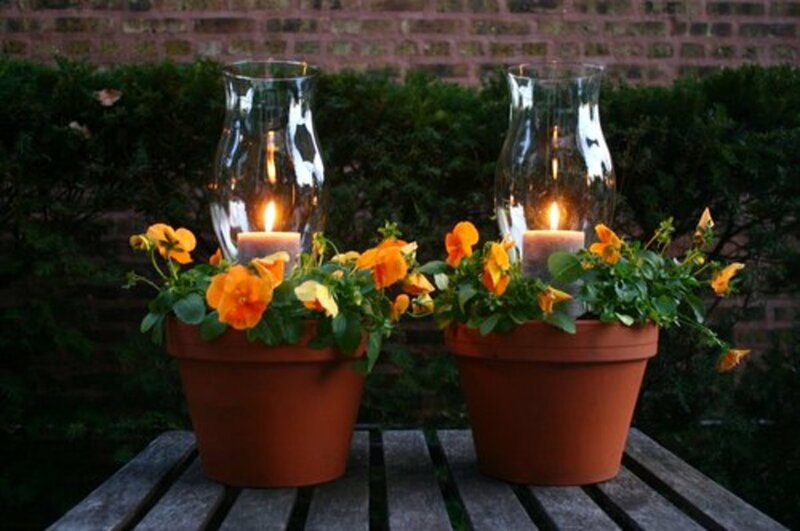 This is a beautiful look and is inexpensive to make. You could even have a different color for every outfit you own. 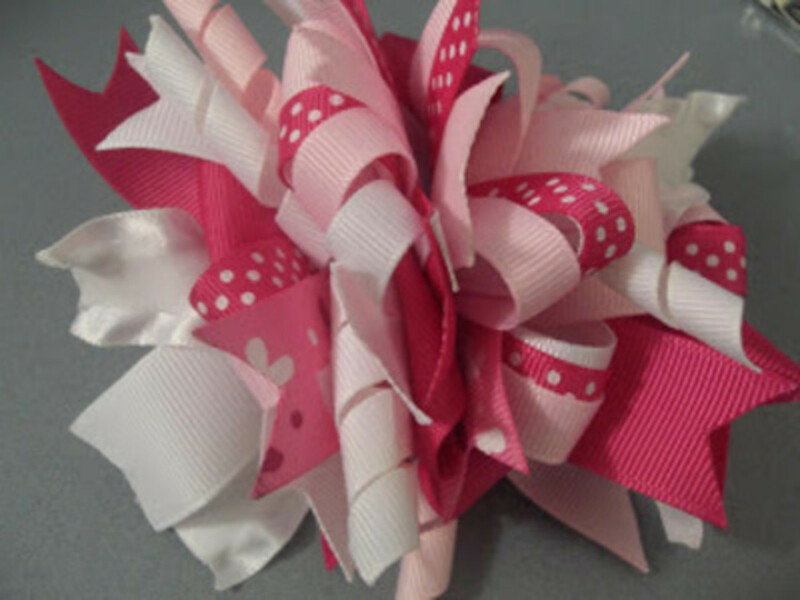 See the directions at The Hair Bow to make this ponytail holder. I love this project that uses an old leather purse for making the flower petals. 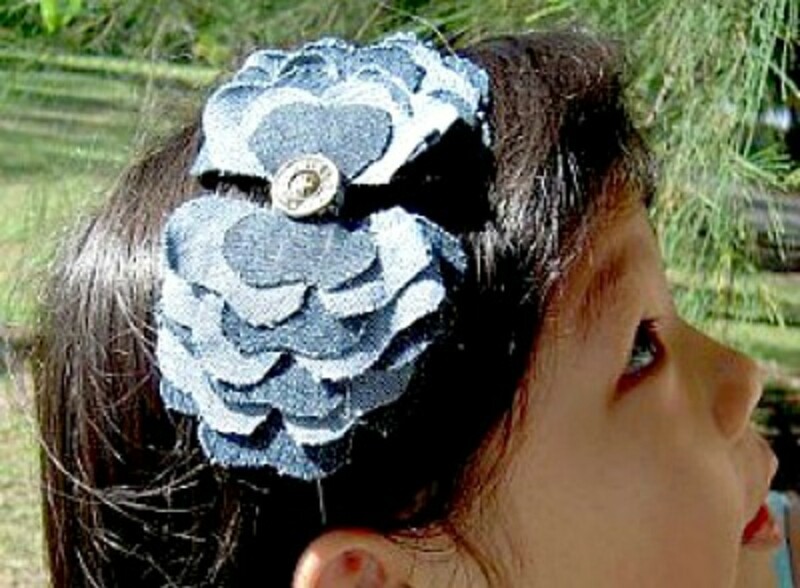 See all the instructions for making this headband at Bubbly Nature Creations. You can make a soft, spring felt flower headband for someone you love by going to and following the instructions at I Heart Nap Time. 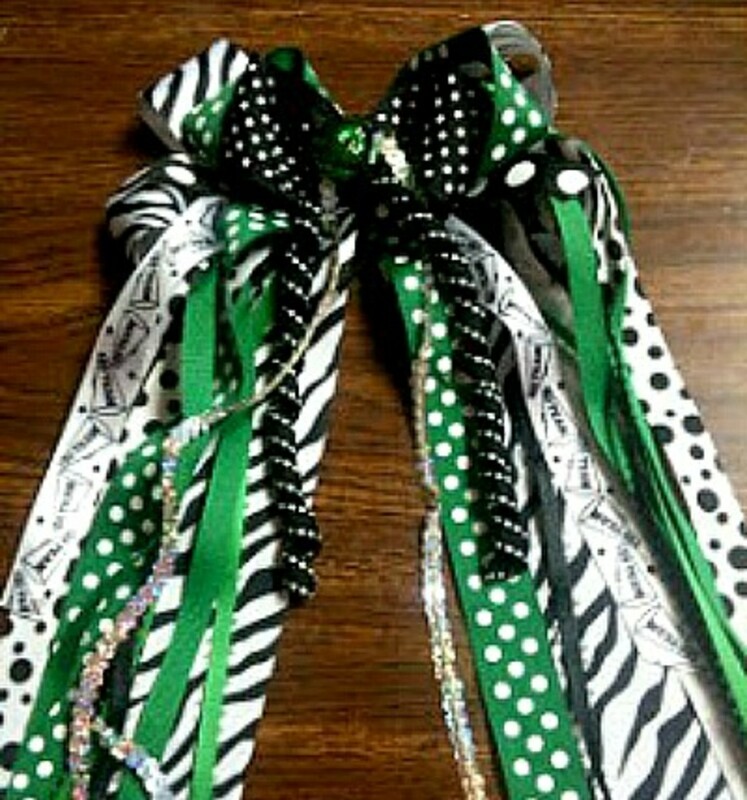 Gather together a bunch of ribbons with your school colors, and then go toSweetpeas and Kisses to find the tutorial to make this cheerleader hair bow. So Simple and So Cute. 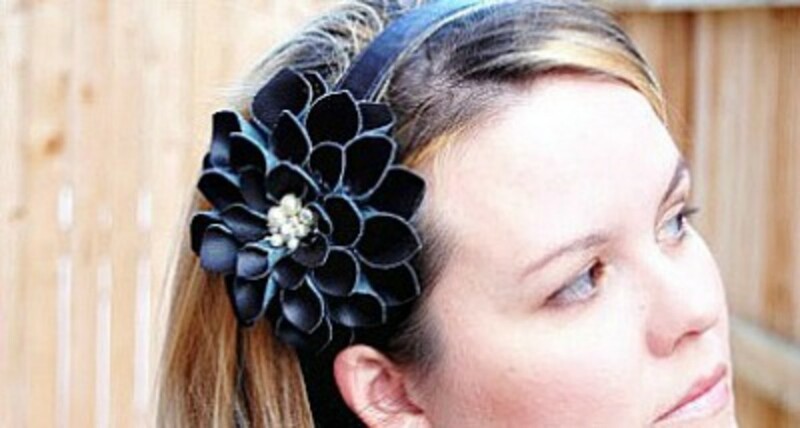 This is such an easy to make flower hair clip that you can use as a hair clip alone or attach it to a headband. 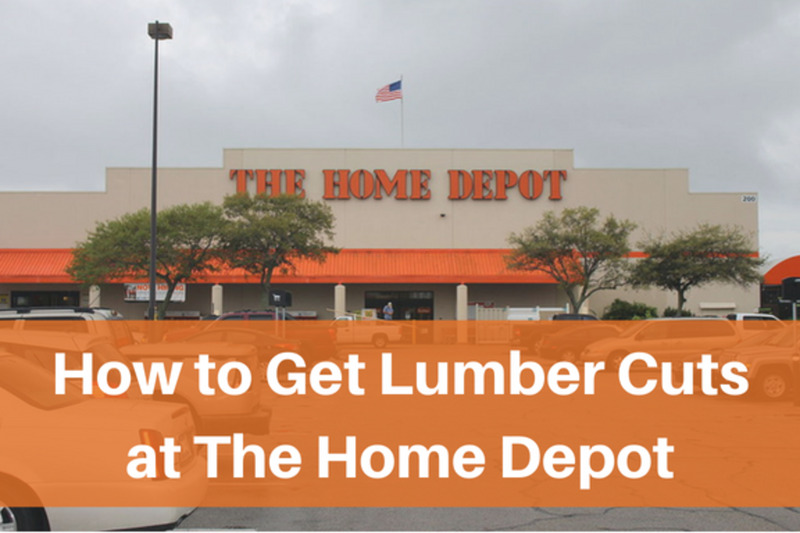 Find the directions at Keep Home Simple. This is really a striking look. 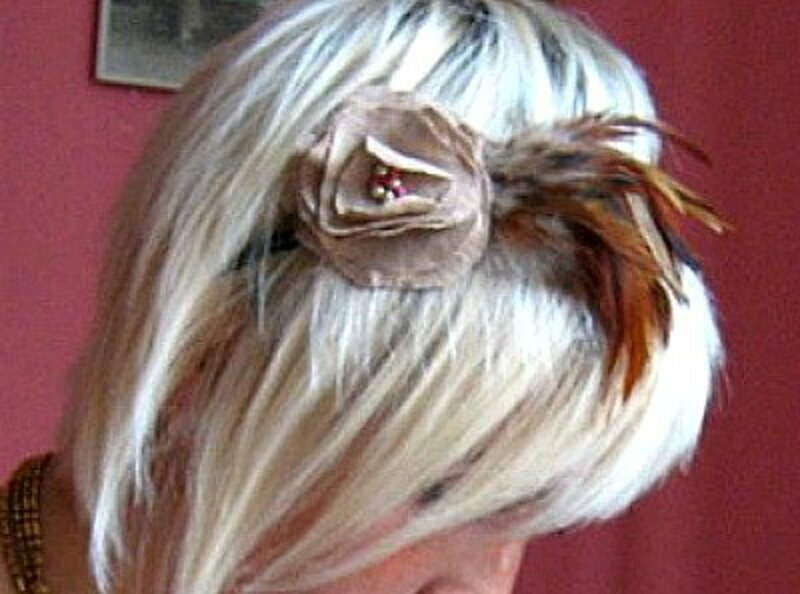 I love the combination of fabric and feather in this headband. 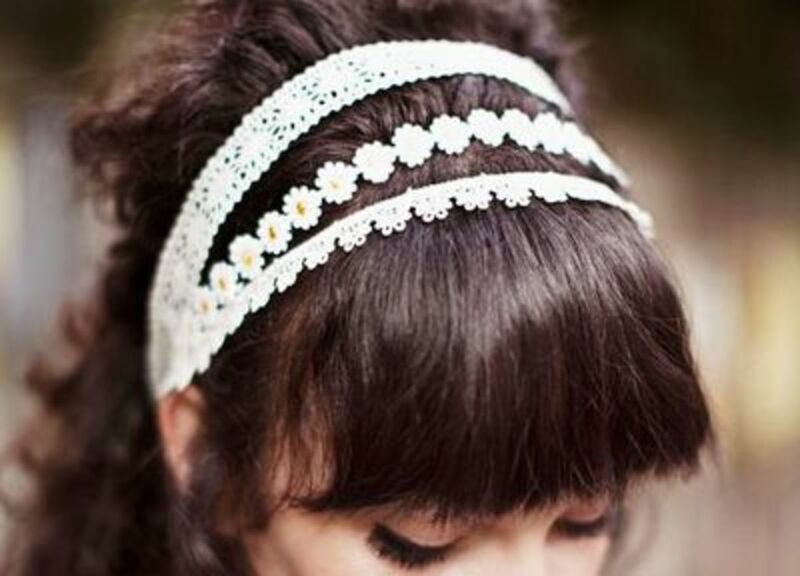 You'll find the tutorial for making this headband at Still Dottie. Flowers made using sheer fabrics make very elegant flowers. Then when you add them to a headband, you have a very elegant headband. See how to make this project by going to the Stuffed Duck site. When you want a simple and elegant look, try these easy to make flower slides. Find the instructions by going to the Soduel site. Certain outfits just beg for a special hair accessory like a leather hair bow. You'll find the instructions to make this hair bow at Chicago Fashion & Flair. Making flowers out of felt is one of the easiest ones to make. 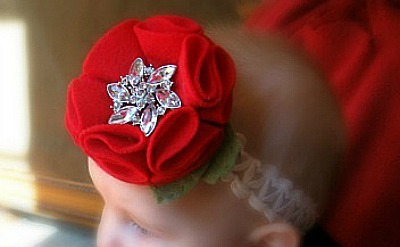 See how easy it is to make this extra cute flower headband by going to the Lady With the Red Rocker site. 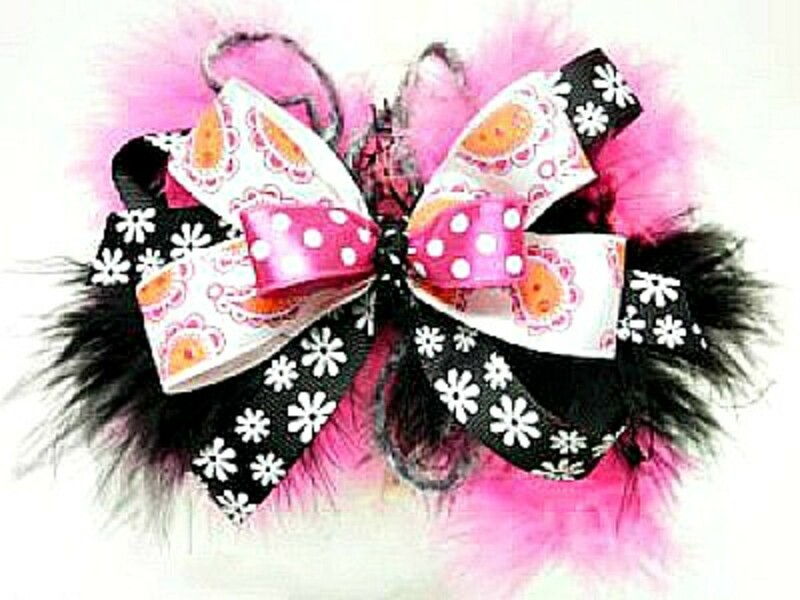 The colors pink and black combined with feathers, makes this an outstanding hair bow. Yes, it's sassy too. 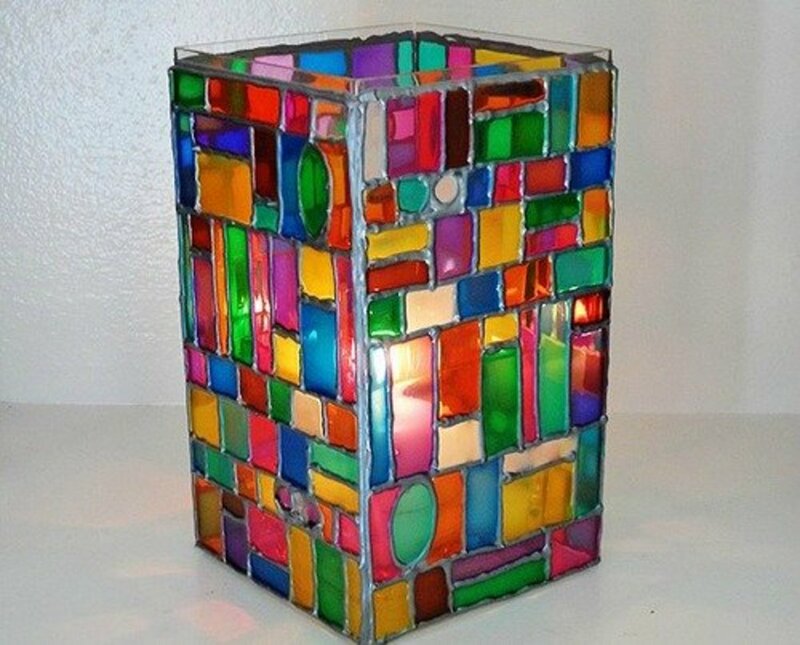 Find the directions to make it at Favecrafts. 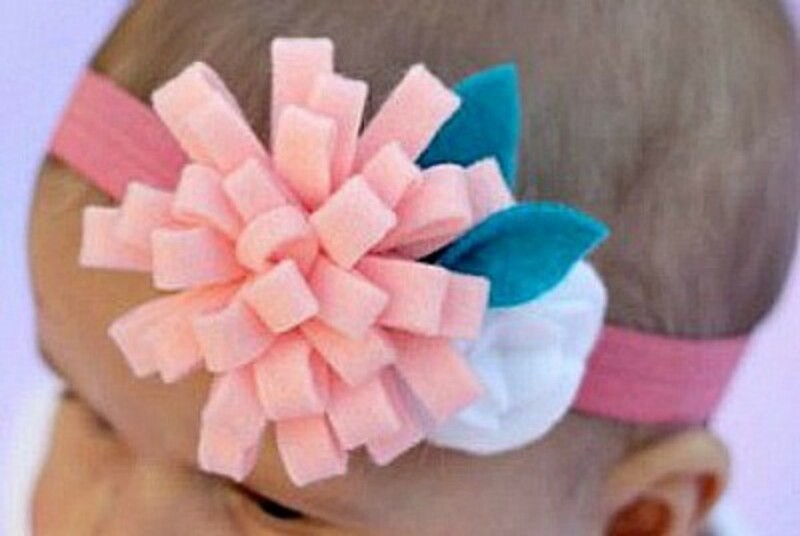 You can easily make a cute hair clip to go with each of the baby's outfits. 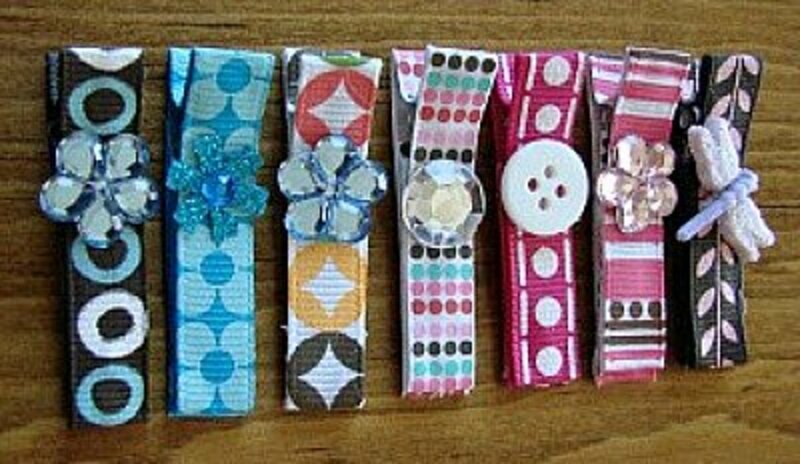 You'll find the simple directions to make these hair clips at The Frugal Girls. 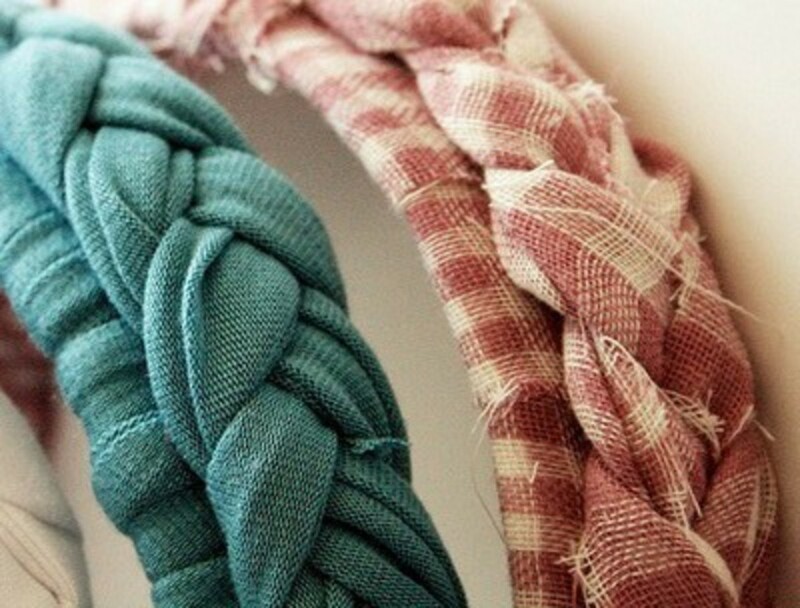 You'll love this denim hairband when you've made it from a pair of your favorite old, worn out jeans. Find the instructions for this project at Meijo’s Joy. Today you can purchase duct tape in many different colors and prints. 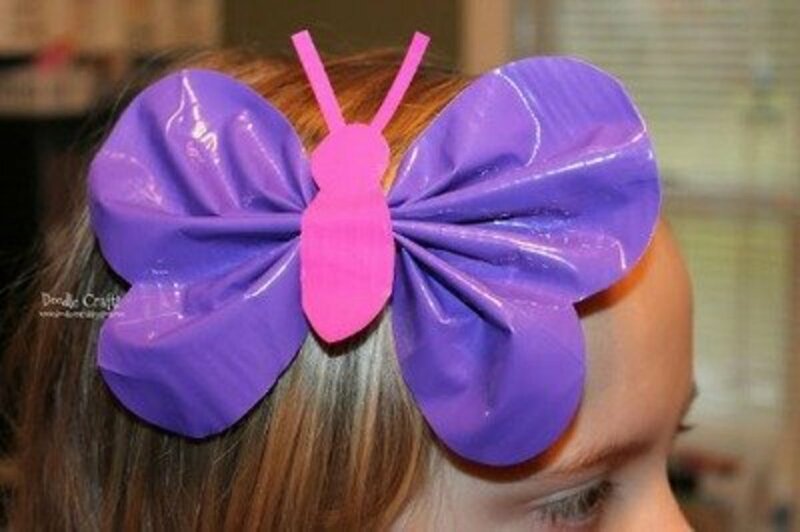 Find some duct tape that you love and go to Doodlecraft for directions on making this butterfly. You'll find it easy to make this poinsettia hair bow using the tutorial available on the Craft Jr website. This cute and simple headband can be made inexpensively by following the directions on the A Beautiful Mess website. 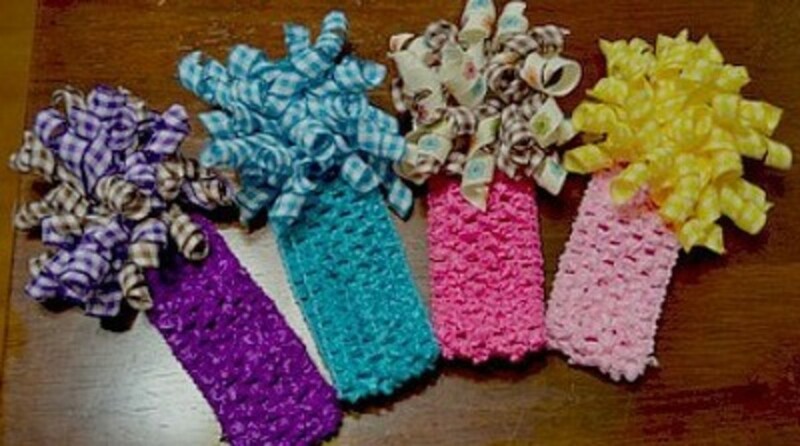 Make cute little bunny scrunchies of many different Easter colors by going to BraveChics for the instructions and a video. This is just a little bow but it packs a fashion punch. 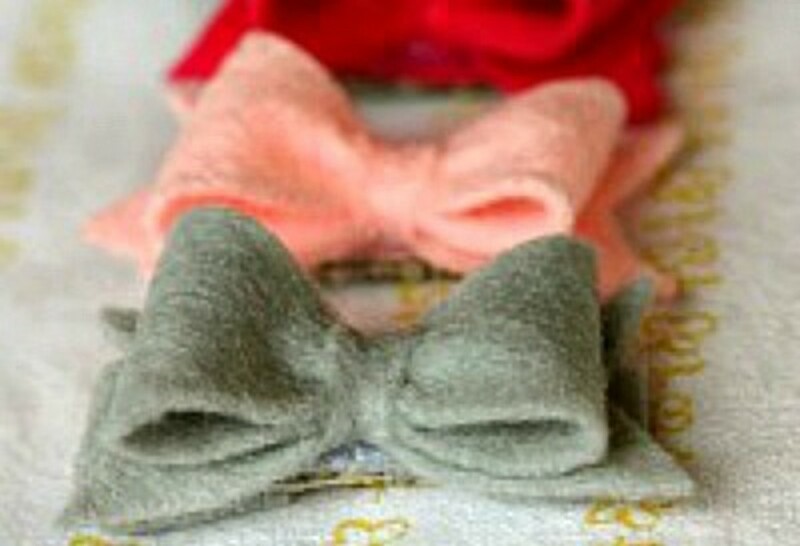 Make this petite yarn bow following the directions that you'll find at Craft Snob. 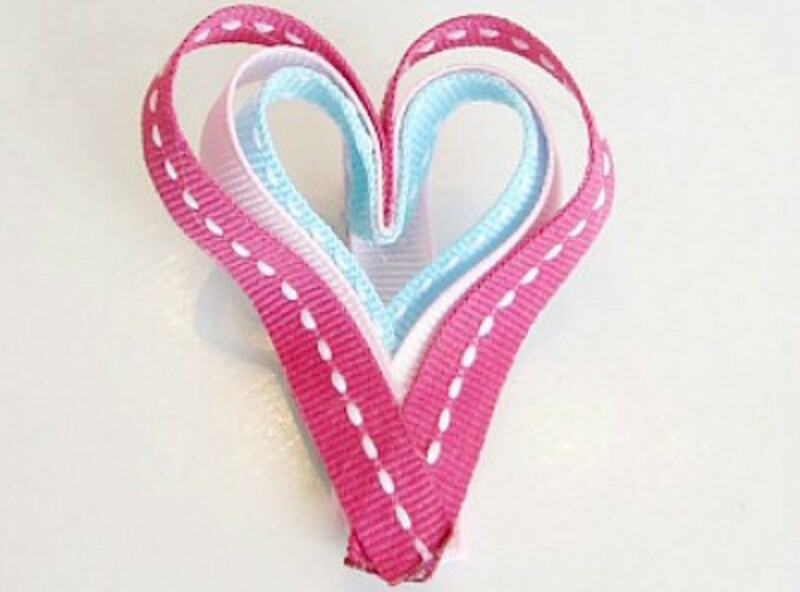 I can imagine any girl or young lady would be thrilled to receive a heart hair bow as a gift. You can make cute little Valentine's Day gifts to give with a card. 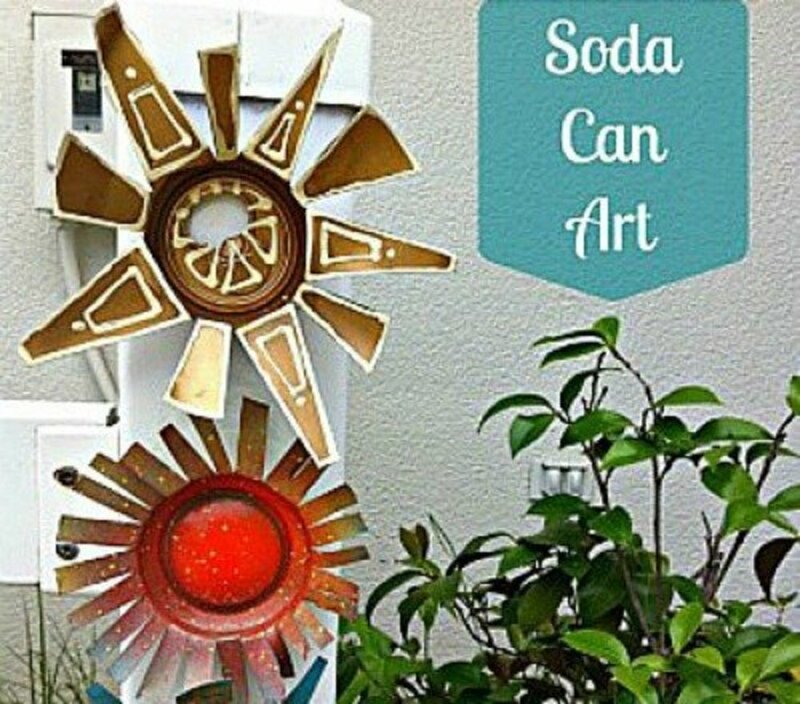 Go to Craft Jr to see how easy they are to make. Only your imagination will limit you when you start painting and decorating little pasta bows for making these little hair bows. Simply Notable is where you'll find the instructions. Lace doilies are very inexpensive if you buy them at a Dollar store. 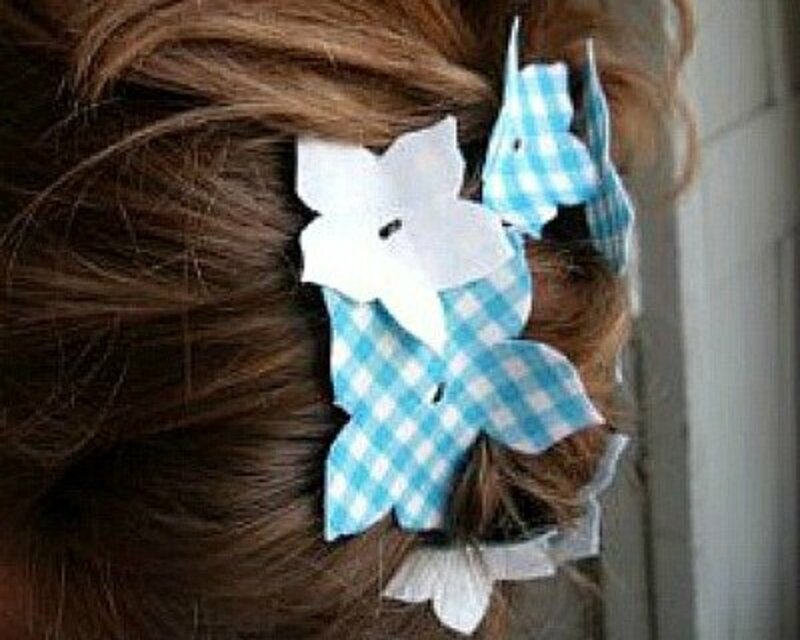 Go to Lil Blue Boo to find the instructions for making a doily hair clip. 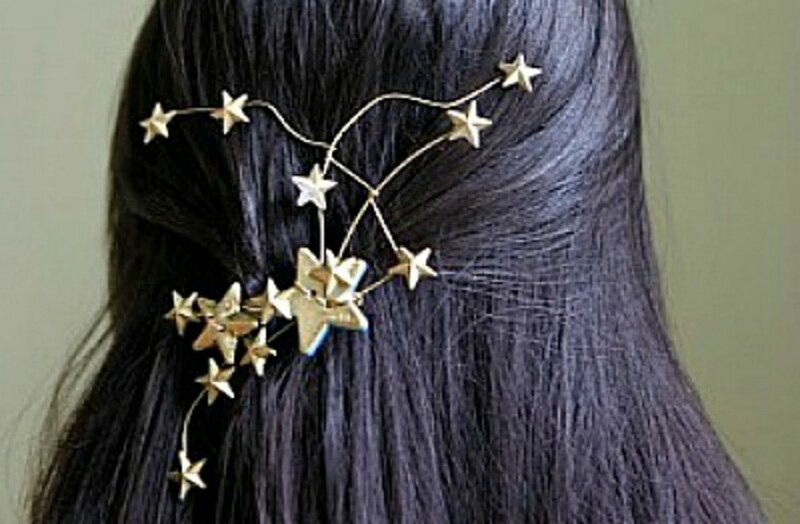 You'll find a great tutorial to help you make these star hair pins at Hello Whimsy Blog. 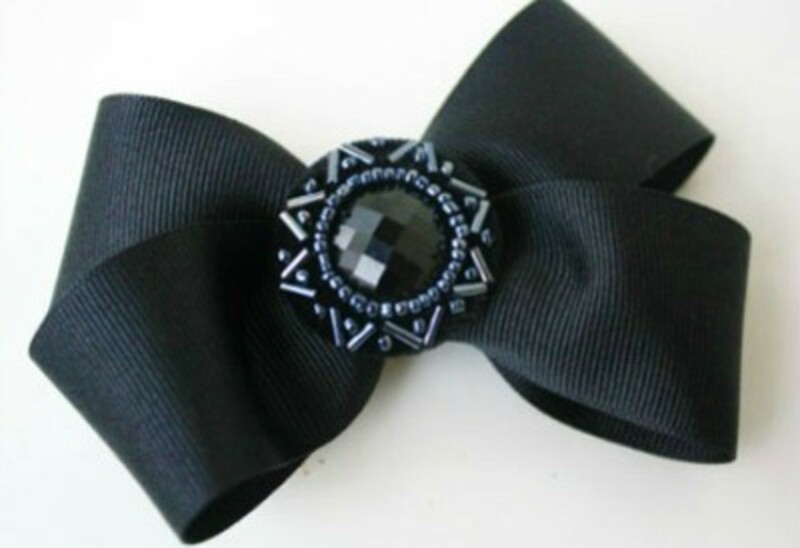 Although you can choose any color ribbon to make this hair bow, I find the black one shown to be very elegant looking. Go to Skip to my Lou for the tutorial. It's been so many years since I've used ric rac that I'd forgotten how versatile the item can be. This cute use for ric rac can be found at The Ribbon Retreat Blog. 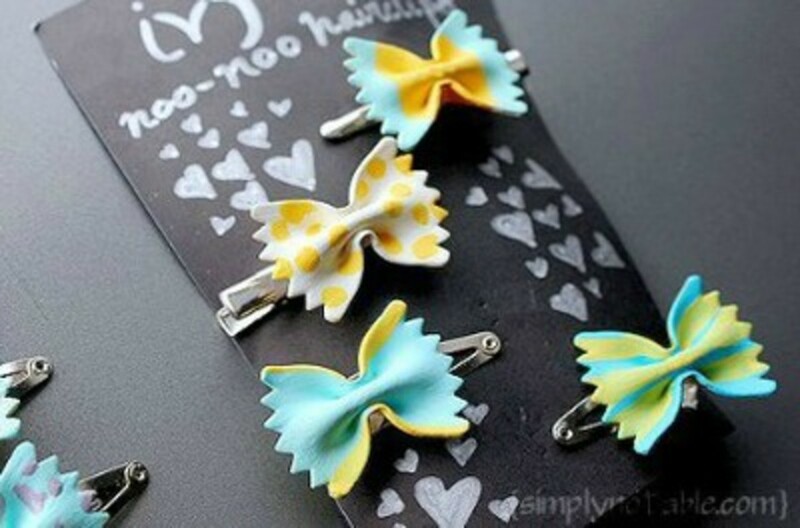 I love the bright and cheerful looks of these hair clips. Of course, I think daisies look cheerful anytime. 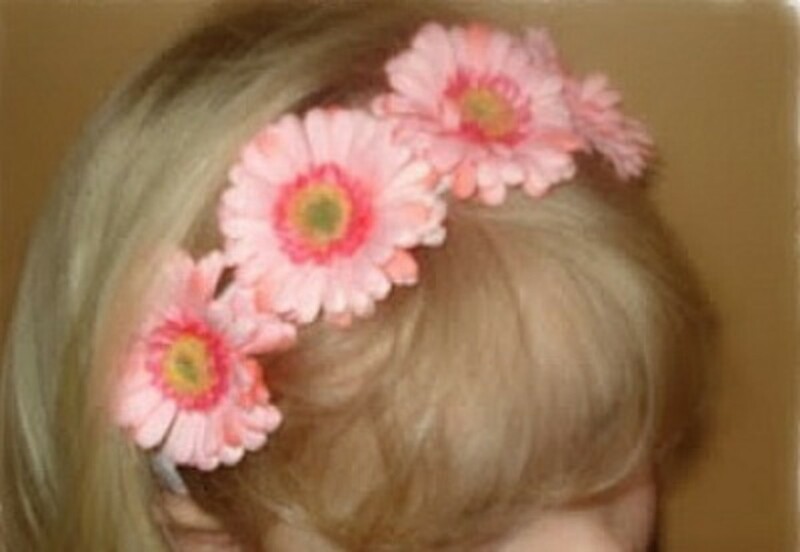 To see how to make daisy hair clips, go to Learning Center for the instructions. 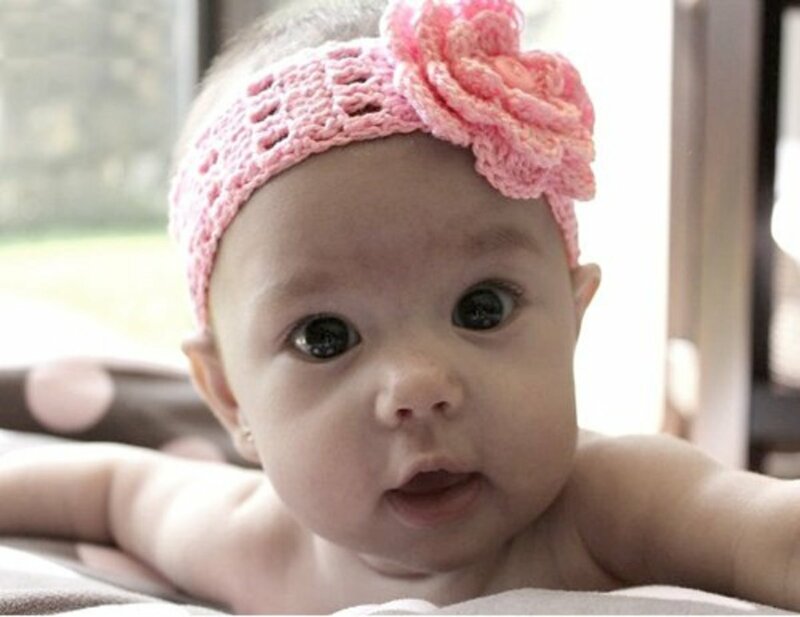 This headband would look as cute on any aged girl as it does on this adorable little lady. 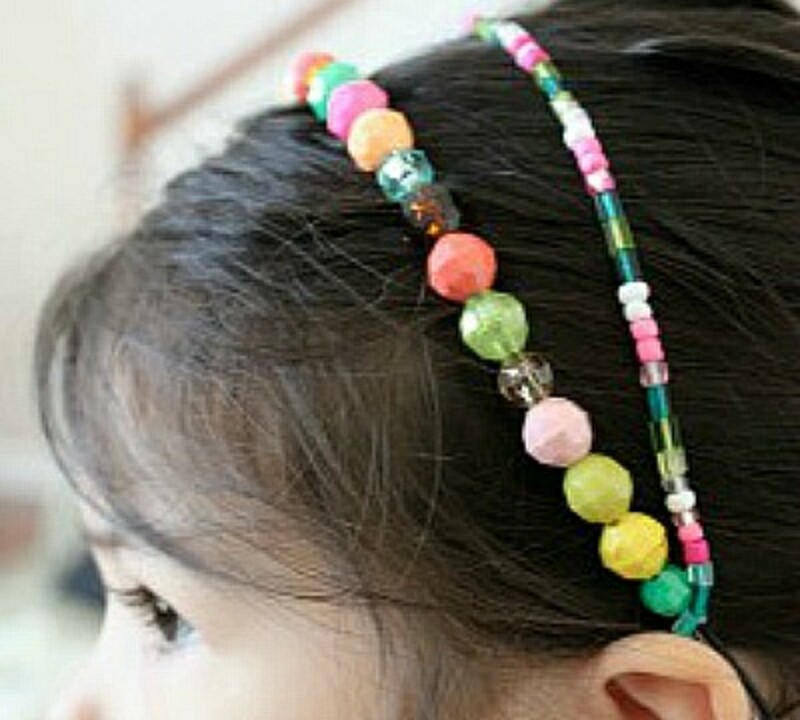 Find the tutorial for making a beaded headband like the one shown above by going to Simply Modern Mom. I guess I can truthfully say that this is my favorite flower. This rose reminds me of the wild roses that grew in the road ditches when I was a kid. You'll find the instructions to make these rose petal flowers at Little Inspiration. When you go to the Craftiness Is Not Optional site you'll see this more casual headband and another more elegant looking one made with a satin type fabric and pearls. Both are very attractive headbands. 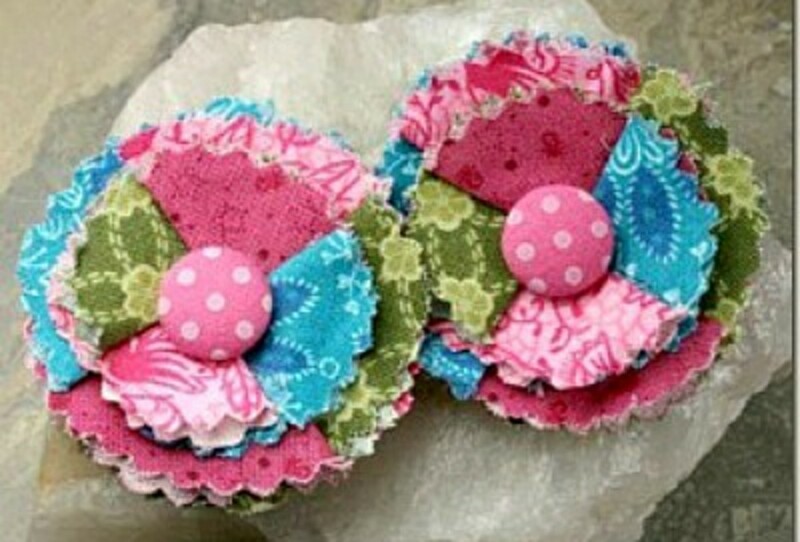 Learn how to make felt hair bows that will stay put even in thin hair by finding the instructions at Create Studio. Be sure to check out how to make these letter cookie cutter barrettes. 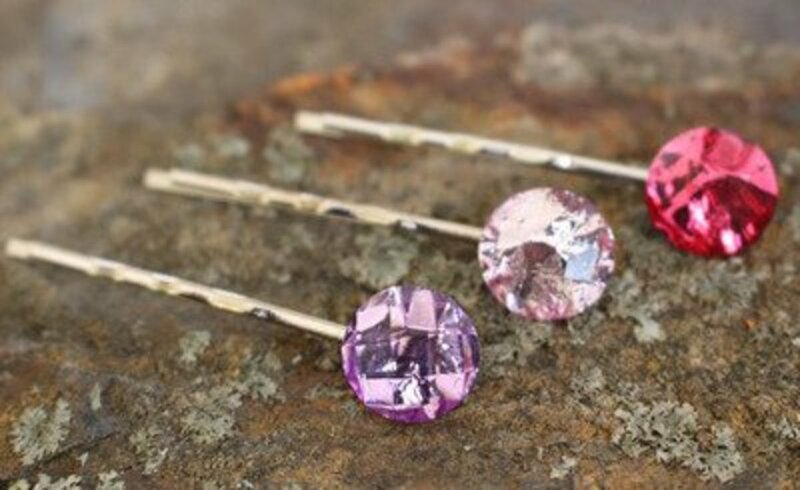 Find the directions for making these glitter barrettes at A Beautiful Mess. 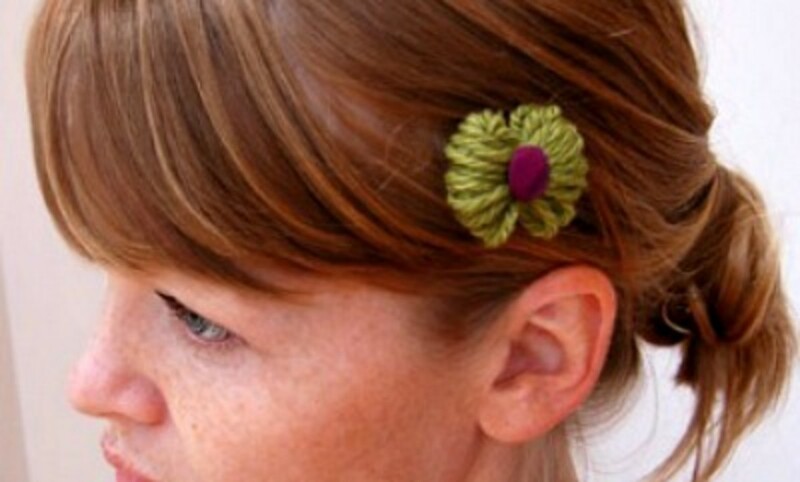 You'll find a great tutorial for crocheting this little hair bow on the Happy Together site. Very easy pattern. 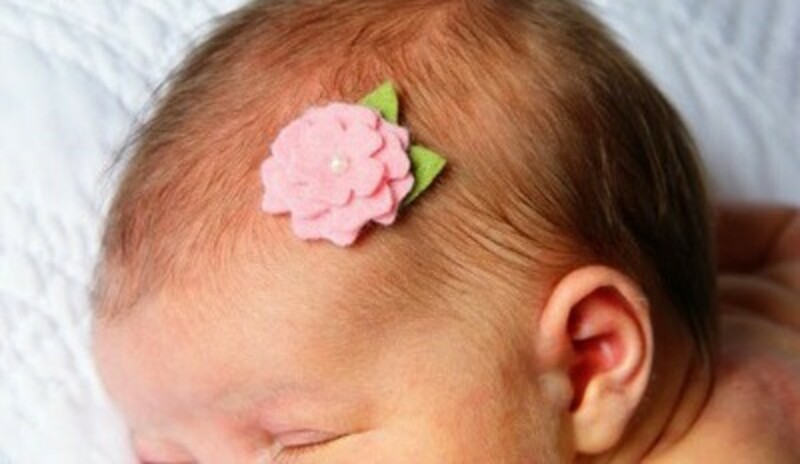 A hair accessory for the wee babe. 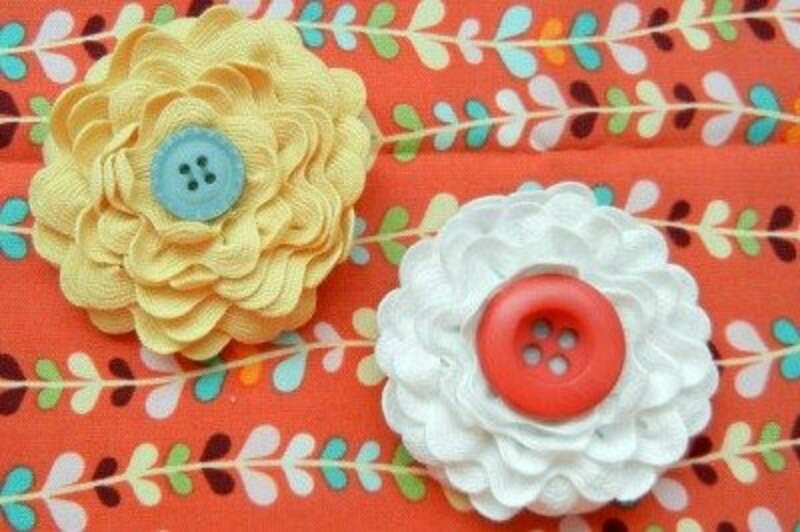 This super cute little felt flower for the baby is so easy to make by following the instructions given at Make It & Love It. Darling! I've never learned how to knit, so I can't make this headband, but I think it is very attractive. Find the knitting instructions for this headband at A Common Thread. If you can crochet, this is a great gift idea. Think of all the colors you'll be able to make this headband in. Find the instructions at You Seriously Made That? 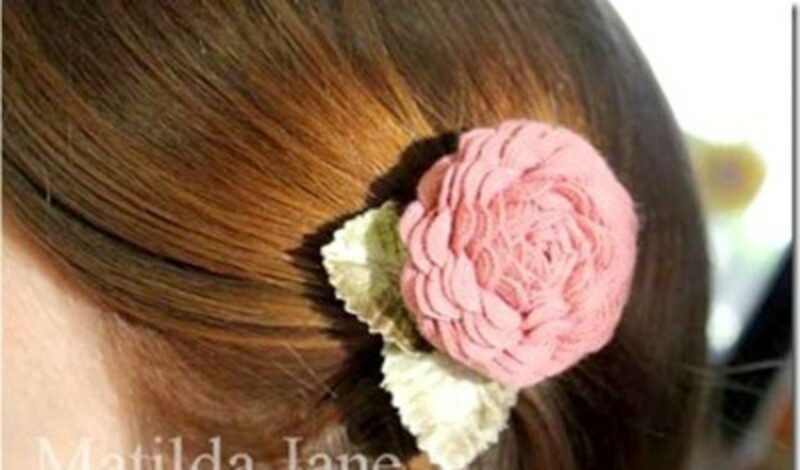 The Matilda Jane blog gives a wonderful and easy tutorial for making this ric rac flower hair clip. With the huge choice of rick rack colors, it'll be easy to find colors to match or coordinate with any outfit. 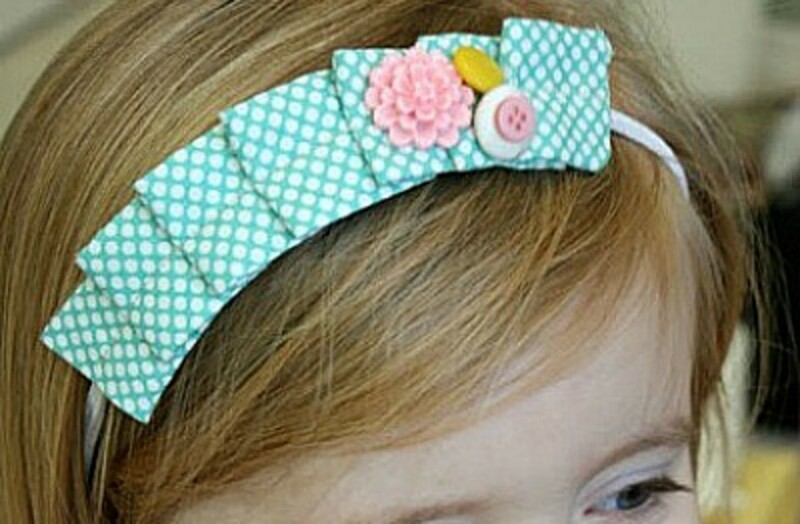 Look what a cute headband can be made with a little fabric, buttons and a headband. See how you can make a flower headband like this by going to The House of Smiths. I could see these stylish hairpins worn for special occasions like weddings, proms, formal parties and even everyday occasions. 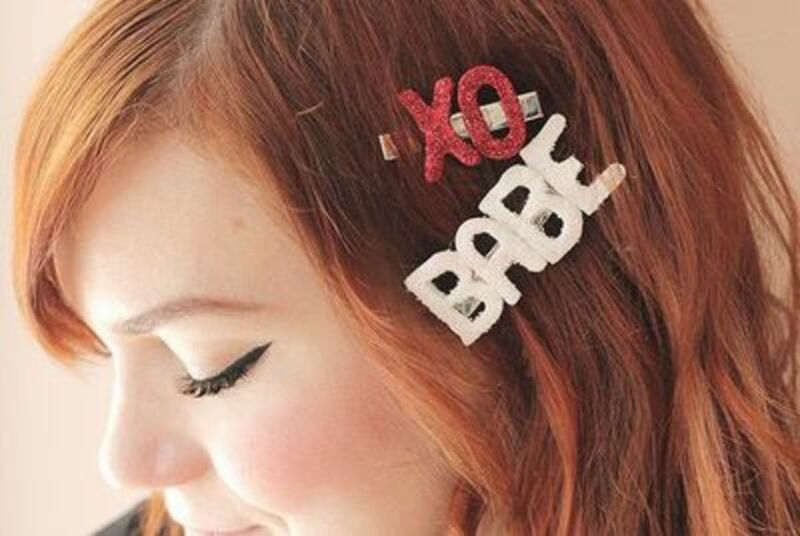 To make these beautiful hair pins, follow the directions at The DIY Dreamer. 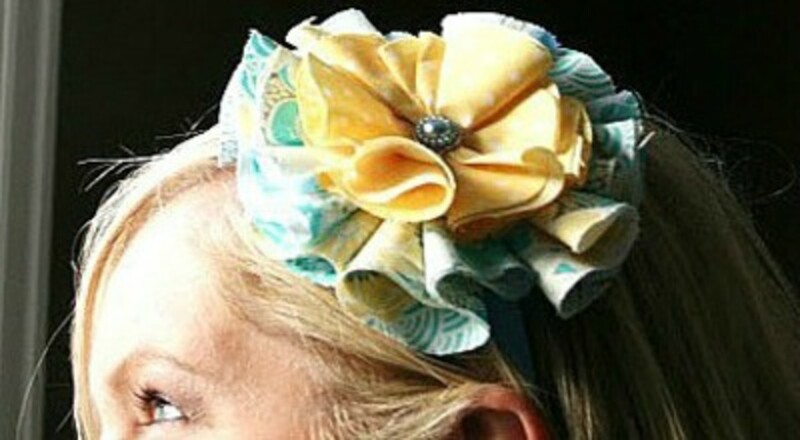 Find a great tutorial for making this Easter headband at Megan's Closet. Simple, but so beautiful. 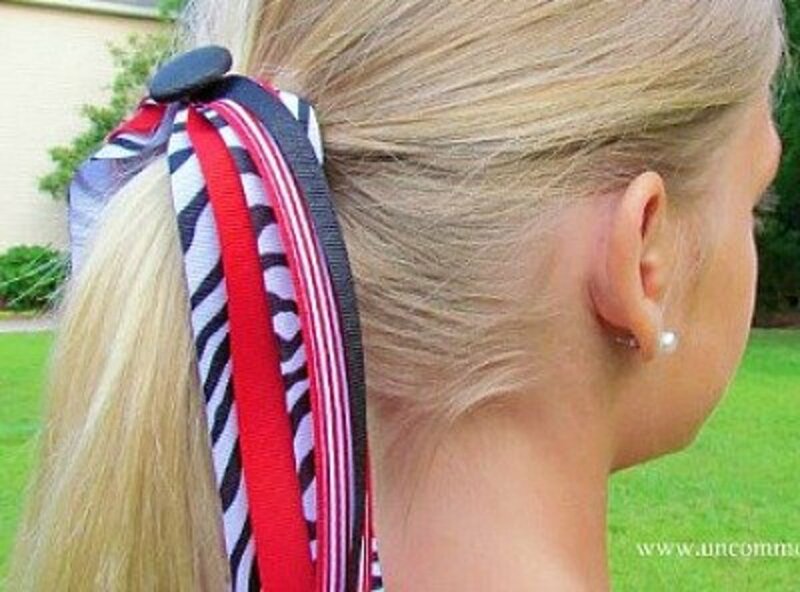 Do You Like to Wear Headbands, Hair Clips or Ponytail Holders? - or leave a comment. How have I not come across this hub before? Too many cool ideas - i will pin it, tweet it, etc. so that I never lose the link! Such cute things - I'm bookmarking this one! Thank-you for compiling all of these great sites in one spot! Made it easy for me to try this new craft.